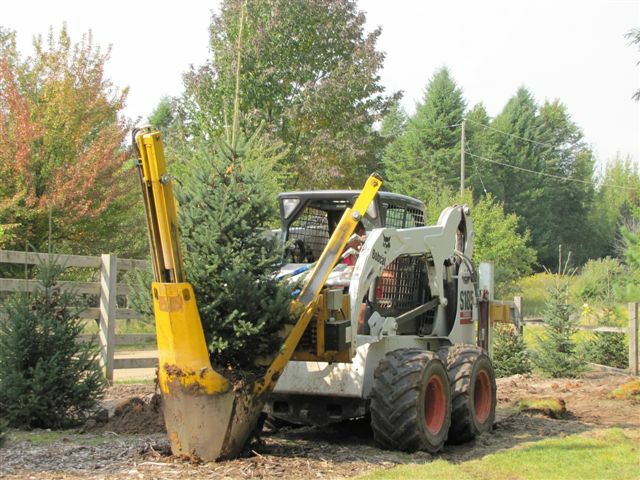 Trains Nursery, a family farm and tree nursery, is located in Grant, Michigan Train’s Nursery, has been in business since 1991, and we pride ourselves on providing our customers with the best quality products and personal service. We have Michigan, family farm, grown evergreens for sale as well as leaf trees growing on our tree farm and available for sale. The Train Nursery tree lot is available for you to visit by appointment. Please give John or Lynn Train, at Train’s Tree Nursery and tree farm, a call before you stop out or you might miss meeting up with the owners because they might be out working in their tree nursery. We offer a tree moving service and specialize in ball and burlap wrapped trees. 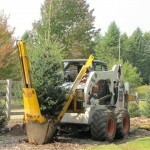 Trains Nursery in Grant Michigan ships wholesale nursery ball and burlap evergreen and leaf trees. We also have trees for sale individually, we deliver and have installation services available locally.